This activity has been planned and implemented in accordance with the accreditation requirements and policies of the Accreditation Council for Continuing Medical Education (ACCME) through the joint providership of Ultimate Medical Academy (UMA) and KCY Education Group. UMA is accredited by the ACCME to provide continuing medical education for physicians. UMA designates this live activity for a maximum of 1.0 AMA PRA Category 1 Credit(s)™. Physicians should claim only the credit commensurate with the extent of their participation in the activity. 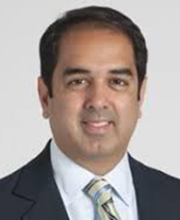 This activity is supported by an independent medical educational grant from Regeneron Pharmaceuticals, Inc.
» Rishi P. Singh, MD, has had a financial agreement or affiliation during the past year with the following commercial interests in the form of Consultant: Genentech, Novartis/Alcon, Regeneron. 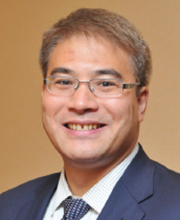 » Peter K. Kaiser, MD, has had a financial agreement or affiliation during the past year with the following commercial interests in the form of Consultant: Aerie, Aerpio, Alcon, Allegro, Allergan, Bayer, Biogen Idec, Boehringer Ingelheim, Galecto Biotech, Hospira, jCyte, Chengdu Kanghong, Kodiak, Novartis, Ohr Pharmaceutical, Omeros, Regeneron, Retinal Sciences, Santen, Shire, SciFluor, Spark, Stealth Biotherapeutics, Thrombogenics. 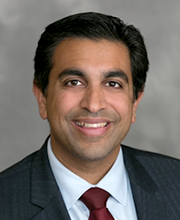 » Rahul N. Khurana, MD, has had a financial agreement or affiliation during the past year with the following commercial interests in the form of Consultant: Allergan, Genentech, Regeneron. 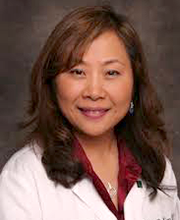 » Judy E. Kim, MD, has had a financial agreement or affiliation during the past year with the following commercial interests in the form of Consultant: Genentech, Notal Vision. 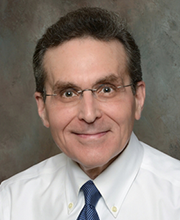 » Philip J. Rosenfeld, MD, PhD, has had a financial agreement or affiliation during the past year with the following commercial interests in the form of Consultant: Genentech; Contracted Research: Genentech.